Tree removal can be a potentially dangerous job that shouldn’t be entrusted to a company that doesn’t have the right credentials. It’s always wise to do your research when hiring someone who is going to work on your property. And this is certainly the case when it comes to tree removal service in Jacksonville. You’ll naturally want to see what services they offer and what kind of reviews they have, but it’s also critically important to make sure that the tree removal service you hire is fully insured. Why does it matter so much that the tree removal company you hire is insured? Tree removal is a big job that has risks involved, so if your contractor doesn’t carry proper insurance, there’s a good chance you’ll be paying for any damage or injuries that occur. A company without adequate insurance is a company you should avoid doing business with. Always make sure that your tree removal service in Jacksonville has two types of insurance coverage: general liability and workers’ compensation. General Liability. General liability insurance provides financial protection for any kind of property damage that’s caused by the tree service. Unfortunately, damage can easily occur from fallen limbs or branches. It’s also possible that improper use of equipment and tools can lead to damage. General liability will cover any damage to your home, fences, garage and other structures on your surrounding property. If the tree service you use doesn’t have this type of coverage, you’ll be the one footing the bill. 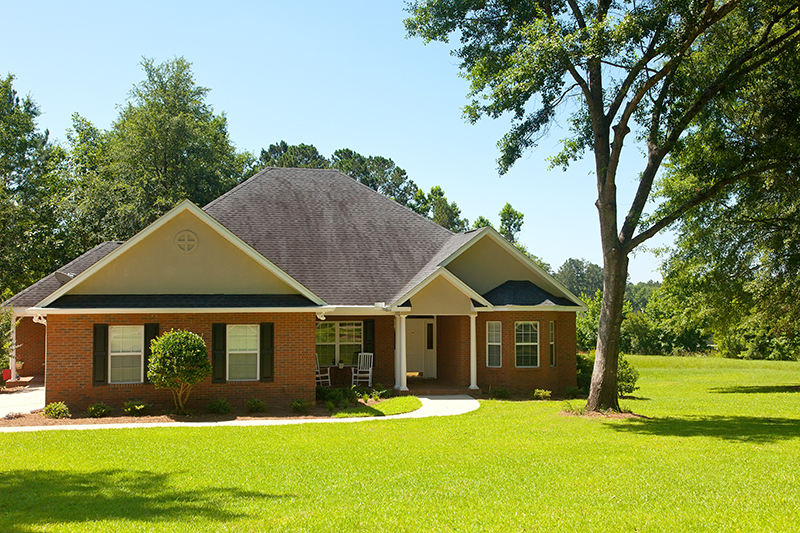 Your homeowner’s insurance might cover you, but you’ll likely see your rates rise. Workers’ Compensation. Ensuring that your tree service has workers’ compensation is equally as important as general liability coverage. With tree service being one of the most dangerous professions out there, it’s essential that the company you hire has this type of coverage. It will protect you and the company’s employees by covering any injury an employee suffers on your property. This includes any injuries that could happen on the job site such as falls, electrocution, cuts and other potential accidents. Make sure all of the company’s employees that will be on your property are covered. Using a tree removal service that is not fully insured with both general liability and worker’s compensation is simply too risky. Always do your research and ensure that your contractor is licensed, insured and has good reviews. For tree removal service you can trust in Jacksonville, St. Augustine and surrounding areas, contact TREECO. TREECO is fully licensed and insured, and safety is our number one priority. All of our employees are CPR/AED certified, powerline safety certified, aerial rescue certified and chainsaw safety certified. If you’re in need of tree removal, our tree surgeons are equipped to handle even the biggest jobs. Don’t risk hiring a tree company that doesn’t have the proper credentials. Call us today at (904) 810-1033.